Whether you have already read THE SOMALI DECEPTION or are beginning the adventure now – this Virtual Tour will show you many of the exciting places visited during the adventure. Do not worry about spoilers. The images and descriptions contained in this Virtual Tour mention moments from the story that do not necessarily give away the plot. This Virtual Tour is intended to enhance your reading experience so follow the Tour while reading THE SOMALI DECEPTION for added fun. CHAPTER TWENTY – Lamu Island lies on Kenya’s coast, just 2 degrees below the equator. There has been human settlement in this area for around a thousand years. The buildings in the centre of Lamu date from the 1700s, and there is evidence of earlier settlements in the surrounding area. A Dhow is a traditional Arab sailing vessel with one or more lateen sales. 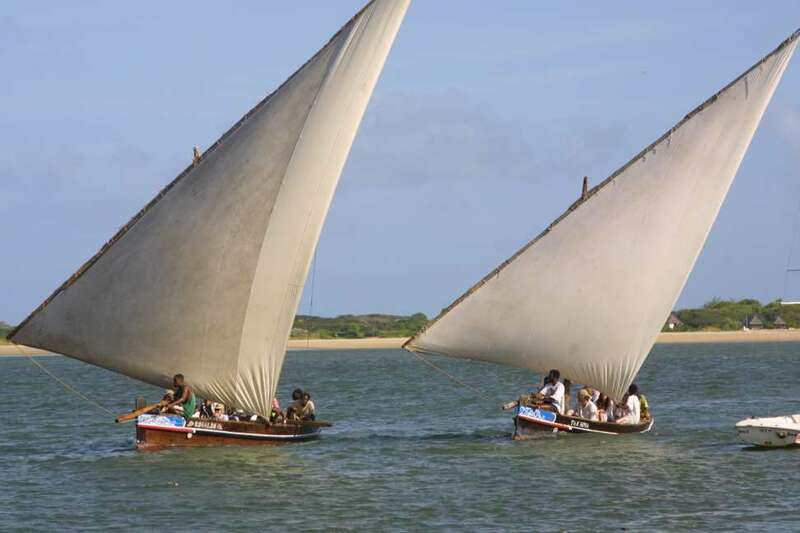 The Lamu Dhows are famous for their speed and during the main season from July to April main races are taking place. Each race usually involves 10 to 15 dhows the fierce an exiting ancestral atmosphere. CHAPTER TWENTY-THREE – The camel races that take place at the Al Marmoom Camel Racetrack outside of Dubai are organized in an effort to preserve Emarati and Arab culture and tradition. The races are attended by race enthusiasts from the UAE and GCC countries, as well as global visitors. CHAPTER TWENTY-SEVEN- The Sevens Rugby Stadium is a purpose-built rugby sevens stadium in Dubai United Arab Emirates. The Sevens Stadium is a venue for, soccer, Gaelic football, Australian football (Aussie rules), netball, basketball, cricket, tennis,track and field, and concerts. CHAPTER THIRTY – The Burj Khalifa, known as Burj Dubai prior to its inauguration, is a skyscraper in Dubai, United Arab Emirates, and is the tallest man-made structure in the world, at 829.8 m (2,722 ft). The Dubai Fountain is the world’s largest choreographed fountain system set on the 30-acre manmade Burj Khalifa Lake, at the center of the Downtown Dubai development in Dubai, United Arab Emirates. It was designed by WET Design, the California-based company responsible for the fountains at the Bellagio Hotel Lake in Las Vegas. Illuminated by 6,600 lights and 25 colored projectors, it is 275 m (902 ft) long and shoots water up to 500 ft (152.4 m) into the air accompanied by a range of classical to contemporary Arabic and world music. It was built at a cost of AED 800 million (USD 218 million). If you have additional images to share from locations featured in THE SOMALI DECEPTION email info@danielarthursmith.com. The images in this Virtual Tour were gathered from Creative Commons and Public Domain shared image sites (as well as a few of my own.) Please notify if you own an image displayed here and have modified the license.